Every year, public health workers record about 30,000 new cases of Lyme disease in the U.S., and that figure may actually underestimate the number of true cases. Lyme disease is caused by an infection with Borrelia burgdorferi, a species of bacteria transmitted through tick bites. 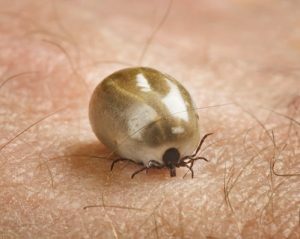 The early signs of the disease, which appear within three to 30 days after a tick bite, include pain in muscles and joints, fatigue, chills, fever and a characteristic rash that resembles a bull’s-eye. People who visit a doctor for these symptoms typically receive a course of antibiotics that lasts two to four weeks. For most people, these medications work, but if you continue to experience the symptoms of Lyme disease, you actually fit the profile of between 10 and 20 percent of those treated for the condition. The persistent fatigue and pain have often been referred to as “chronic Lyme disease,” and it’s prompted multiple courses of antibiotics. But is “chronic Lyme disease” really what you have? And are those repeated prescriptions of antibiotics really necessary? Inaccurate diagnosis. If you were tested for Lyme disease, your physician may have used an unapproved laboratory screen. Screening products such as IgeneX rely on criteria that have nothing to do with standards developed and certified to be accurate by the U.S. Centers for Disease Control and Prevention or other public health agencies. Co-infection. It’s possible you were infected with other pathogens in addition to Borrelia burgdorferi. A domino effect. Your bout of Lyme disease may have triggered reactions that led to other potential health problems, such as fibromyalgia, depression, an autoimmune disease, or permanent tissue or nerve damage. If any of these possibilities are true for you, your doctor will have to rethink prescribing you antibiotics, which can cause bacterial resistance and even death when administered to patients who won’t benefit. To receive more effective treatment, consult a private health advisor, who can refer you to specialists who are experienced in the diagnosis and treatment of post Lyme disease syndrome. Prevention is the most effective approach to battling Lyme disease. If you spend any time walking or hiking through an environment where ticks live, inspect your body carefully for attached ticks. Usually, ticks need to have been attached for 48 hours to transmit infectious bacteria, so prompt and regular inspection is crucial to spotting and removing ticks early. Protective clothing and repellents are very effective. Be sure to wear long-legged and long-sleeved clothing that’s treated with permethrin, which is an insecticide, or tick repellents that contain either DEET or Picaridin. If you’re concerned that you or a loved one may have post Lyme disease syndrome, remember that your care is best left in the hands of physicians who understand the importance of treatment supported by scientific evidence.